The hero of Gunslinger would probably describe this as the perfect Western First Person Shooter, being keen on over-playing any situation, but then he might just have a point. Set in the Wild West in 1910, this isn’t Red Dead Redemption. Ubisoft’s game is a shooter through-and-through, with barely a thought about being anything else. You hold guns (and the occasional stick of dynamite), shoot people and, well, that’s about it. 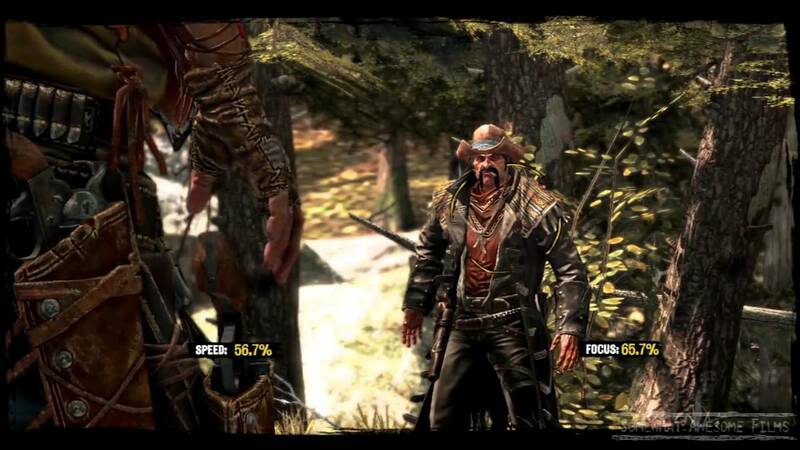 But it’s this pure and simple approach which saves Gunslinger from being another entry in the Call of Juarez series. That, and the way the story affects the game. You see, our hero and main character Silas Greaves, is a hoary old bounty hunter, or so he claims, who happens to wonder into a bar and tells stories about his life in exchange for drinks. His claims start off big and only grow with time, facing off against such legends as Billy the Kid and Butch Cassidy and re-writing history in the process. These yarns are recollections of an old man and sometimes prone to memory lapses. At one point Silas remembers being surrounded by Native Americans before his audience question the story and the characters you, the player. have just been shooting disappear before your eyes, replaced by outlaws. It’s these connections to the story which give Gunslinger its unique character. What they also do is provide one of the best Western games in ages and something of a return to a traditional shooter with some modern touches. If Red Dead is the modern dream of what a game set in the Wild West should be, Gunslinger is that same dream from your inner child. 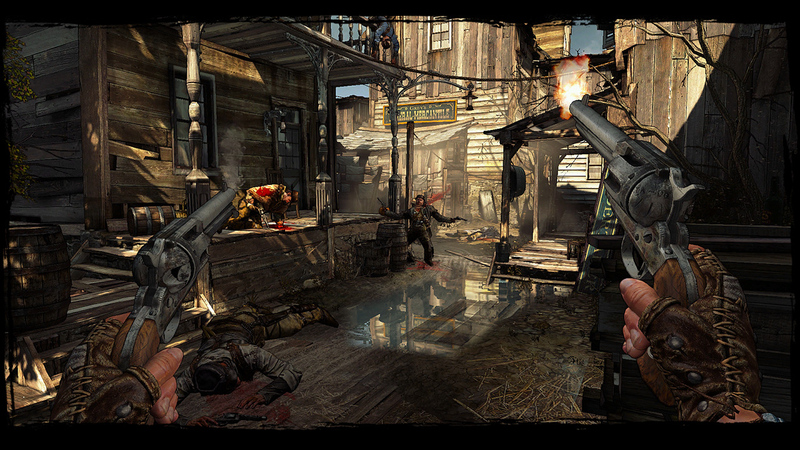 Exploding barrels, tense stand offs and more cowboys than a Spaghetti Western fill the screen, aided by a neat bullet-time slow motion meter and sticks of dynamite to replace the FPS standard grenade. Skill trees help to improve aim, reloading and many other aspects of play and will certainly be required for the New Game + mode that opens up when you complete the game. There are also Arcade and Duel modes that can be unlocked as you play through, adding some extra length to the 6-7 hour campaign. Only the slight graphical glitches, occasional wonky AI and lack of moving cut scenes betray the budget nature of this downloadable game. If you fancy a trip back to the Wild West you remember from the school playground (with added blood and swearing) then Gunslinger may just be the game for you.